In the last few months we have seen the launch of many Tablets in India. We bring to you the 5 latest and affordable tablets under 15k. 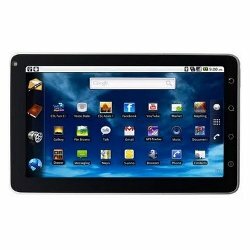 Reliance 3G Tab: One of the many options available to you is the Reliance 3G Tab. Reliance has launched its 3G tablet in India with great features like a Capacitive Multi-touch 7 Inch screen with 800 x 480 pixels screen resolution and Android 2.3 Gingerbread OS which gives access to loads of applications, games and apps. It has 32GB Expandable memory, with a 2MP Rear Camera and Front Facing VGA Camera ideal for video calling. It offers 3G, Wi-Fi and Bluetooth connectivity. Other features included are an inbuilt video recorder, Wi-Fi Hotspot and Mobile TV. Apart from the affordable price tag reliance also gives you 2GB of 3G Data Free every month. beetel Magiq: The beetel Magiq was launched by Bharti Airtel. This affordable tablet comes with Android v2.2 Froyo Operating system and a powerful 1GHz processor. It supports 2MP cameras at the Rear and Front side camera for video conferencing. This is a Wi-Fi and 3G enabled device with 2GB of 3G data free for two months. Other features included are a 7 inch capacitive touch display, with 800×480 pixels screen resolution, 8 GB inbuilt memory expandable to 16 GB using MicroSD to store all your contacts, data and pictures. 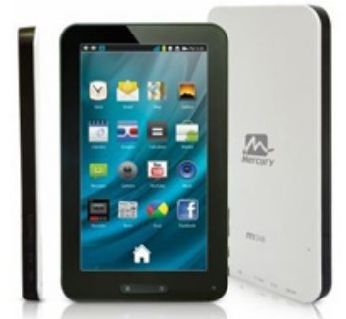 Mercury MTab: Mercury MTab is a sleek and stylish tablet with a 7 -inch WVGA TFT LCD Capacitive Touchscreen with multi touch, 800×480 pixels Display and G sensor screen rotation. It is powered by 1.2 GHz Triple core processor and the latest Android 2.3 Gingerbread OS. It sports a 1.3MP rear camera with video capture, music player, video player, 512MB RAM, 4GB internal memory and expandable memory upto 32GB. It offers Bluetooth and Wi-Fi connectivity, optional 3G connectivity, HDMI port, USB port and Full HD video playback. 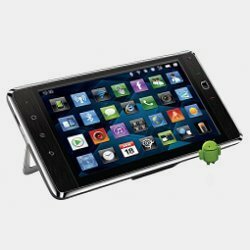 Spice Mi 720: Spice Mi 720 is a 3G enabled mobile and gaming tablet equipped with a large 7 inches HVGA capacitive touchscreen, 800x480 pixels display resolution, powered by 800 MHz Qualcomm Snapdragon processor and runs on Android 2.2 Froyo OS. It sports a 2 MP rear digital camera with digital zoom and video capture, front VGA camera, Music player, video player and expandable memory upto 32GB. It offers connectivity options like GPRS, EDGE, Wi-Fi, 3G, USB and Bluetooth and is HTML browser enabled. It is also a gaming device as it comes with Adreno 200 Graphics Processor and also has 4-Axis Gravity Sensor. Other features supported by the Spice Mi 720 is a SIM card slot, e mail, adobe flash player, Wi-Fi Hotspot/USB Tethering, Document viewer/editor, pre loaded you tube client, Google Latitude, Maps, Search, Gmail, YouTube, Gtalk, Calendar and Google Voice support. 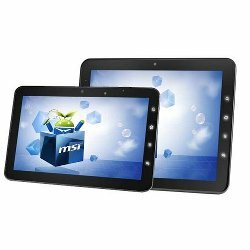 MSI WindPad Enjoy: MSI WindPad Enjoy Tablet is available in 2 sizes, 7 inch and 10 inch tablet. It supports an ARM Cortex A8 1.2 GHz processor with Android OS. It has 4GB inbuilt tablet memory, 2MP Front facing camera and a 2MP Rear facing camera. It offers advanced connectivity options like WiFi, Bluetooth and USB. Other features included are Ambient light sensor, Gravity Sensor and E-Compass. It supports a powerful processor with good front and rear cameras and flash support.